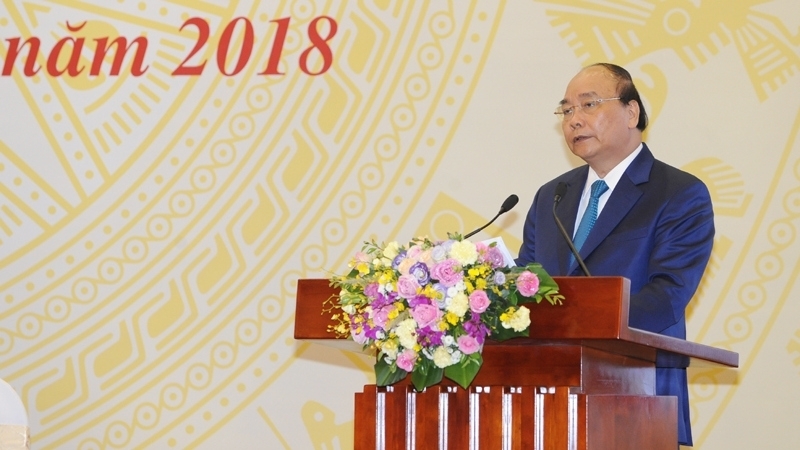 Growth is an inclusive target of Vietnam, which will assist the country in addressing employment, increasing revenues and reducing public debt, Prime Minister Nguyen Xuan Phuc stressed at a national teleconference between the Government and localities on July 2. The PM asked leaders of ministries, sectors and localities to propose measures to solve shortcomings, continue improving the business and investment environment thus creating a momentum for growth in the remaining months of this year. Regarding the country’s socio-economic situation in the first half, he requested delegates to make accurate assessments and measures in accordance with the situation of each ministry, sector and locality. The Government highlighted 18 issues that need to be discussed during this meeting, including inflation control, macro-economic stability, development of support industry and private economy, administrative procedure reform, improvement of the business and investment environment, social welfare and other pressing matters, he said. Looking back the first half of the year, PM Phuc highlighted that Vietnam recorded positive socio-economic development in all fields with GDP growth of 7.08 pct. The social investment was equivalent to nearly 33 pct of GDP, while foreign direct investment (FDI) rose by nearly 6 pct. State budget collection was up 14 pct. The country enjoyed a trade surplus of US$2.71 billion, and a year-on-year rise of 16 pct in export. In the period, foreign trade gained successes, with several new agreements signed. Domestic capacity of production was also improved, with over 54,500 new enterprises set up. Notably, social welfare was ensured and locals’ living conditions were improved, which was reflected through a significant decrease in a number of poor households and the issue of 22 million free health insurance cards during January-June. The Government leader cited the result of a public opinion survey that 71 pct of the respondents recognised positive changes on external relations and international cooperation, while 91 pct believed in anti-corruption efforts. 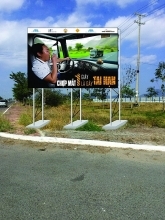 However, he noted that Vietnam should raise vigilance over natural disasters and security and order ensuring work. According to him, the recent social disturbance case in central Binh Thuan is a lesson for all localities in maintaining security and social order and safety. He stressed the need to prevent bad elements from inciting others, noting that social order and safety is the prerequisite to ensure the investment environment and socio-economic development. Urgent matters such as traffic safety, food safety, school and hospital hygiene, corruption and group interests also need suitable and timely solutions to be addressed. “The delayed settlement of pressing social problems will affect the country’s long-term stability and people’s trust,” Phuc stressed. Regarding shortcomings of the economy in the second half of this year, the leader noted the pressure of inflation from the rising prices of essential products such as oil and gas, transport, and building materials. He asked for specific measures to curb inflation below 4 pct, stabilise the macro-economy, and boost sustainable development. He repeated that this year, electricity price will not be increased, while prices of health services are lifted when having all necessary conditions. He stressed the need to achieve the growth of 6.53 pct in the third quarter and 6.36 pct in the fourth quarter of this year in order to fulfil the target of the year.